Get tips on when to transplant these pretty perennials. Learn what you need to know for successfully transplanting peonies. Moving peonies isn’t especially challenging. The most critical part is knowing when to transplant peonies. These old-fashioned flowers have specific transplanting timelines that consistently provide the best results. Replanting peonies may be the easiest part of the process, provided you have prepared a spot with everything this bloomer needs. Unlike fast-growing perennials like black-eyed susan (Rudbeckia fulgida) or Siberian iris (Iris sibirica), herbaceous peonies (Paeonia lactiflora) don’t need frequent transplanting. This classic perennial grows so slowly that, if clumps are properly spaced, you won’t need to be moving peonies on a regular basis. 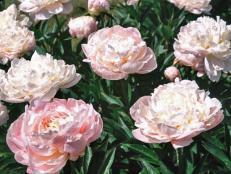 Under ideal growing conditions, transplanting peonies is somethingyou might do every 10 or 15 years. But you might find you need to consider transplanting peonies if clumps are planted too closelytogether or you’re redesigning a garden bed. 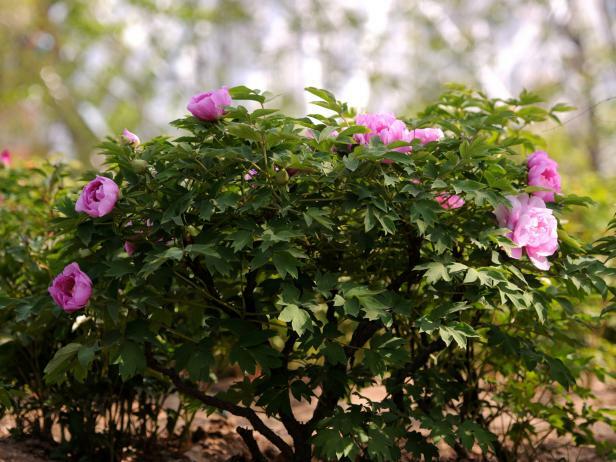 Occasionally, maturing trees may reach the pointthey’re shading peony plants and preventing bloom. Whatever the reason, it is feasible to transplant peonies—either within your own garden or to a friend’s. One of the most vital steps is getting the timing right. When to transplant peonies depends on the results you want. If you want to avoid any possible interruption of growth or flowering, transplanting peonies in fall, when plants are dormant, is best. You can also tackle moving peonies in early spring before plants sprout (while they’re still dormant). 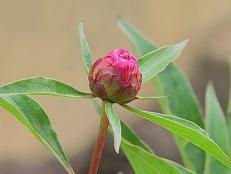 Transplanting peonies in spring may interrupt growth and flowering. Some varieties move easily in spring or fall, but others, if moved in spring, won’t flower for a year or two. 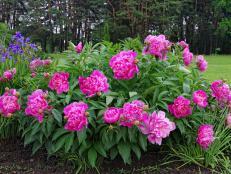 Avoid transplanting peonies in summer unless circumstances demand it. 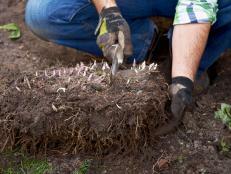 Before transplanting peonies, prepare the new planting hole. Dig it 12 to 24 inches deep and then backfill it halfway using more compost than soil. For best growth, peonies need well-drained soil that’s rich in organic matter. Remember to choose a site that receives good sun for much of the day, although afternoon shade works well in hottest regions. To start transplanting peonies, begin digging around the outside edge of the clump, slowly working your shovel beneath the clump. Expect roots to be roughly as deep as the peony is tall. 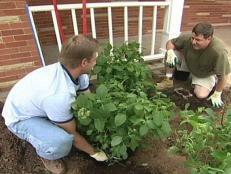 Gently loosen the clump from soil until you’re able to lift it free of soil. It’s a good idea to shift the clump onto a tarp or an empty, cut open soil bag—something large enough to hold the rootball. Slide the tarp to the new planting space. If it’s too far, wrap the tarp around the roots, gently lifting the rootball and carrying it to the new spot. Replant the peony at the same depth it was growing previously. You may have to adjust soil in the planting hole to get the depth just right. Water the newly planted peony. 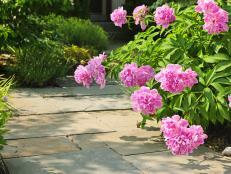 In cold regions, when transplanting peonies in fall, apply a light mulch after the ground freezes. 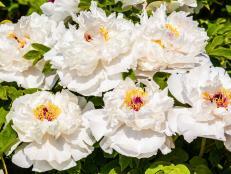 Discover tips for growing peonies, one of the garden’s most long-lived perennials. Discover what you need to know about caring for peonies, including tips on fertilizing these pretty perennials. Dig into the basics and learn how to plant peonies, including timing tips on when to tuck these beauties into beds. 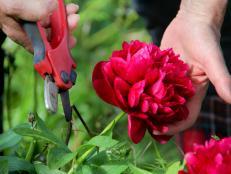 Learn how to propagate peonies, including tips on when to tackle splitting peonies. Learn when to cut back peonies and why you should be deadheading these pretty bloomers. 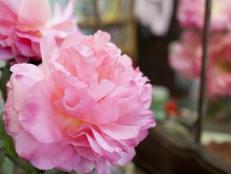 Discover all kinds of facts about peony flowers, including peony flower meaning. When are peonies in season? Learn the subtleties of this perennial bloomer, from flowering time to planting window. Learn why you find ants on peonies — and ways to deal with those pesky peony ants. Learn the ins and outs of moving hydrangeas in your landscape. 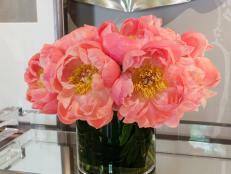 Learn about the meaning of peonies in the language of flowers.